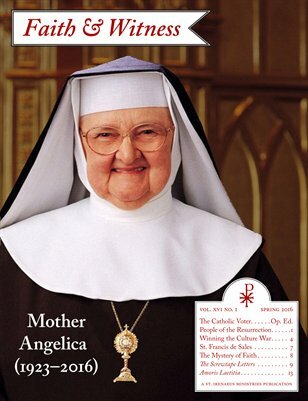 Our Spring 2016 issue celebrates the life of Mother Angelica, tackles topics like politics and the culture wars, and features an interview with Fr. Mike Mayer on evangelization. Also, check out a piece on C.S. Lewis’s Screwtape Letters and a short excerpt from St. Francis de Sales’s Introduction to the Devout Life.